Listen to your mother- Eat your vegetables! This is a reference to the well-known admonition from parents to children reluctant to eat healthy produce. 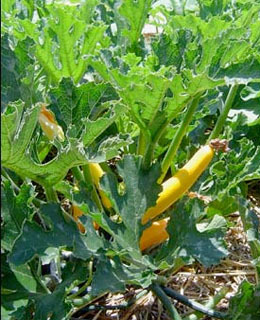 If only those families had access to the delicious variety of vegetables from the certified organic Waldingfield Farm. Their extensive CSA program is a fantastic way for families and individuals to sample succulent produce throughout the season while also helping support organic farming in our community. Selections include Asian greens, beets, eggplant, cucumber, eggplant, collards, melons (to name a few) as well as their renowned heirloom tomatoes which are the favorite of chefs, elite restaurants and foodies in the Northeast. It is also a very well run and reasonable CSA program with half shares at $450 (good for 2-3 people) and full shares at $650 (good for splits and families) It is $10 more if you purchase online. 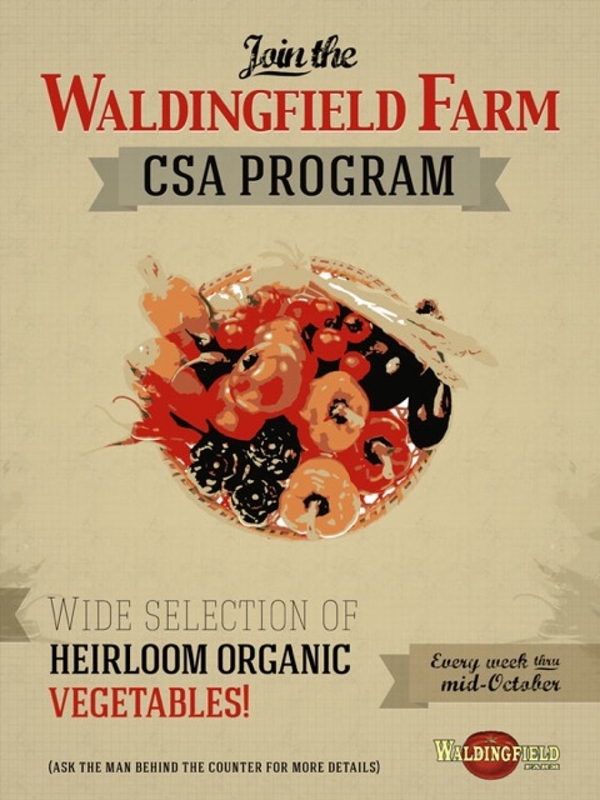 To read about the Waldingfield Farm CSA Program in more detail, click here. 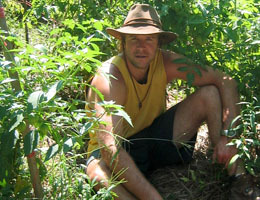 The farm is a family run business with strong roots in the community. Our friends, Quincy Horan, is the head grower and responsible for all field management, crop planning and machinery while his brother Patrick Horan handles all marketing, sales and operations, as well as day to day farming duties. What do you love about living in Washington, CT? Our family has been in Washington since 1919 when our great grandfather, a NYC lawyer, bought the farm from a cousin as a place for his family to spend the summer and be in nature (and it was far closer than northeast Maine) What he loved most about Washington is what we love most about Washington namely its sense of community and the gorgeous rural character of the town. The term organic is often used in discussions on healthy nutrition but how does being a certified organic vegetable farm help the soil/land? The very fact that we apply no synthetic chemicals-like Roundup- in our land management means that our water table below our property (our land is the start of the Sprain Brook which feeds in the Shepaug River) is exceptionally clean. Also, by having zero chemical inputs we maintain and actually increase biodiversity on our land and within our community. The CSA program is beloved by many Washington residents, what does the community aspect mean to you personally? The relationship with our CSA members often starts as what it is, namely an investment in a program in return for great vegetables. 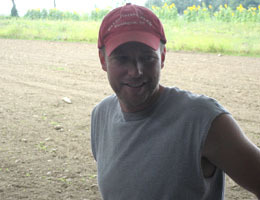 But what happens is a unique bond between our investors and the farm, the connection to the source of the food often surprises the CSA members, and then the friendships start. The idea is that the impact investment, if you will, which is essentially what a CSA represents, is such a win win for the community, and in turn, for us. Are there any plans to create more products like your delicious marinara sauce? Currently we make two sauces, a crushed tomato line, as well as our Bloody Mary mix. In 2015, people should look for a salsa to be introduced in September. What is your favorite recipe from the web site and why? The fast and fresh heirloom tomato gazpacho is my favorite by far. It just tastes like summer. Using a blender will make this soup easy to pull off in minutes. Good for two bowls of soup, or four smaller appetizer portions. Put the two cloves of garlic in the blender and pulse just to break it up a bit. Cut the tomatoes into quarters or eighths and blend with the garlic until smooth (with bread if you are using it - it will thicken the soup). 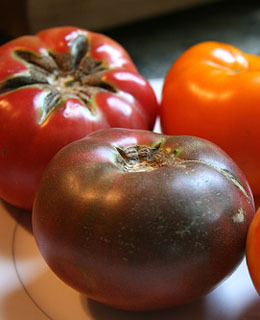 Add salt and pepper if you like, though the tomatoes may have enough flavor without it. Serve topped with fresh diced peppers and avocado. To read more about the history of Waldingfield Farm and to see the extensive vegetable menu, please click here.